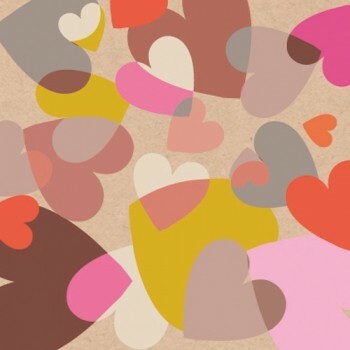 Summary: Design a love themed surface pattern with an exciting new colour palette. With Valentine’s Day this month, SDC are collaborating with Tigerprint to bring you an exciting competition which is all about the colour of love. This month we’re sure to be seeing lots of red and pink, but why do we associate these colours with love? Based just up the road from SDC Head Office in Bradford, Tigerprint has over 200 employees based in Bradford, London and Hong Kong. They are the sole supplier of over 5,000 greetings products to M&S, making them the fourth biggest supplier of greetings cards in the UK. We have collaborated previously with Tigerprint. The competition provides a fantastic opportunity for designers, including students and graduates to demonstrate their talents and provides SDC with the opportunity to work with up and coming design talent, with a strong focus on colour. The competition is worldwide, and open to everyone over the age of 18. The winner receives a prize of £200, a possible placement with Tigerprint and visit to the SDC Colour Experience and the chance that their design may feature in a future M&S range. Have a look under ‘Rules’ for details of what you need to submit. As always when we team up with Tigerprint, we’d like you to keep the Marks and Spencer customer in mind. The final design must have a commercial feel that will appeal to men and women. For this competition please submit either a square 500 x 500 pixel jpeg or 500 x 700 pixel rectangle jpeg at 72 DPI (whichever suits your design best). Each entrant may submit a maximum of five designs each. Please submit your entries from 4th February until 3rd March 2014 by clicking here. However don’t forget, please retain your original artwork at a resolution of at least 300 DPI in case your design is selected as the winner. We will endeavour to approve your designs within 48 hours, after which they will be displayed in the current entries gallery. The winner will receive £200 and a possible placement in Tigerprint’s Bradford studio. Please visit Tigerprint’s FAQs and Terms and Conditions before submitting any entries for the competition or ask a question on Tigerprint’s Facebook page. Here are a few past designs as examples for you. In addition be sure to check out the Tigerprint Design blog and Tigerprint Facebook page where they will post the latest entries and competition updates.